The following digiscope photographs are of a Herring Gull nest that is located on a boat warning pylon located upstream from the Allegheny River Lock and Dam #7. There were two chicks in the nest on 29 May 2005. 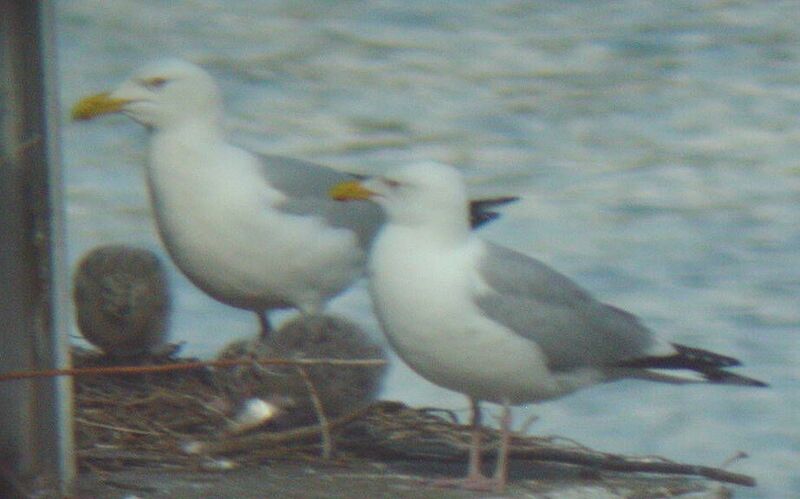 The parent gulls were seen tending (but not feeding) the chicks in the early evening when these photographs were taken. There also was an immature Double-crested Cormorant perched on top of the warning sign on the pylon and it is shown in the last photograph. All of the photographs were taken at approximately 160X. 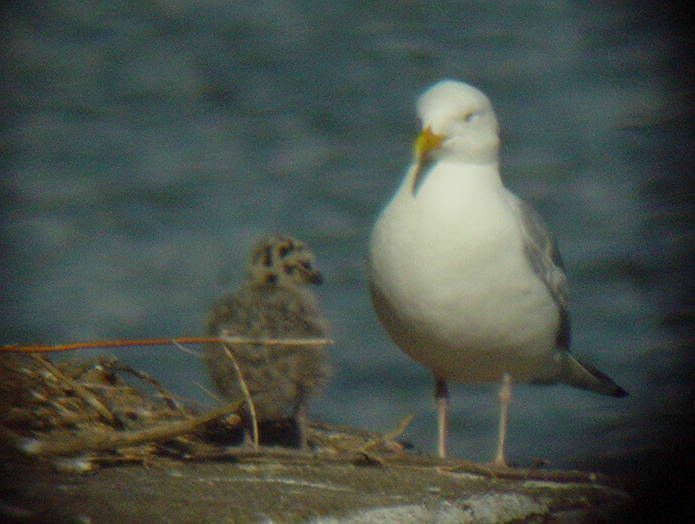 One adult Herring Gull and one chick. Both adult Herring Gulls and the two chicks (one partially cut off on left). 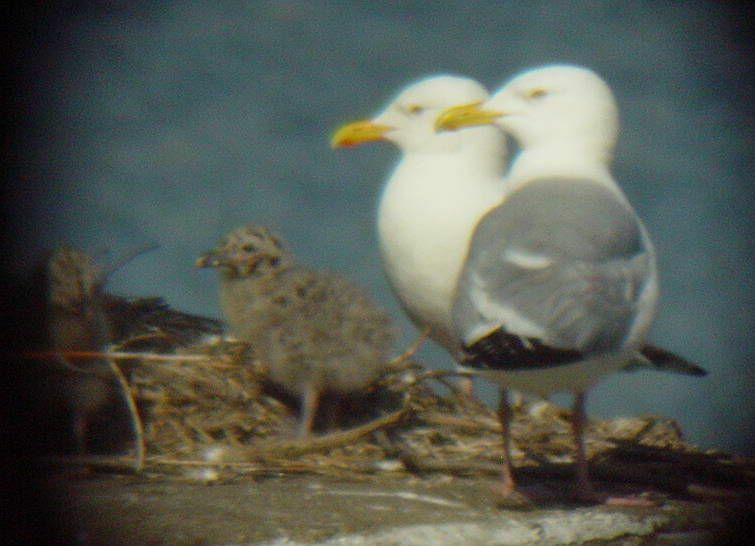 Both adult Herring Gulls and both chicks. 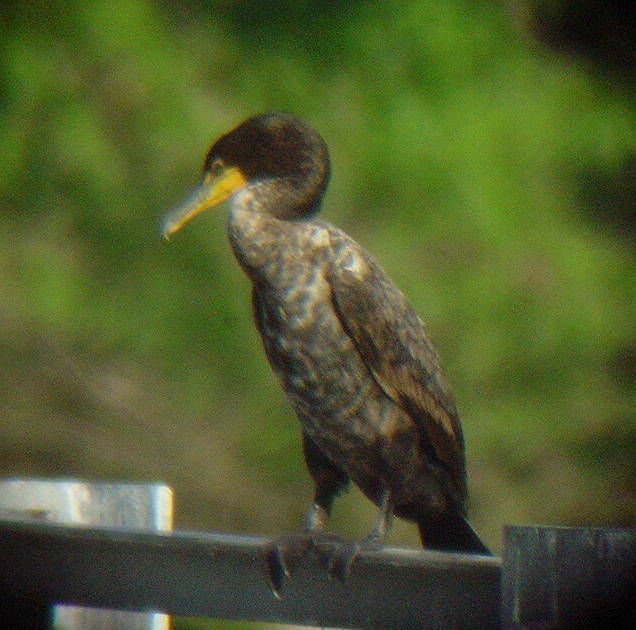 Immature Double-crested Cormorant perched on top of warning sign.